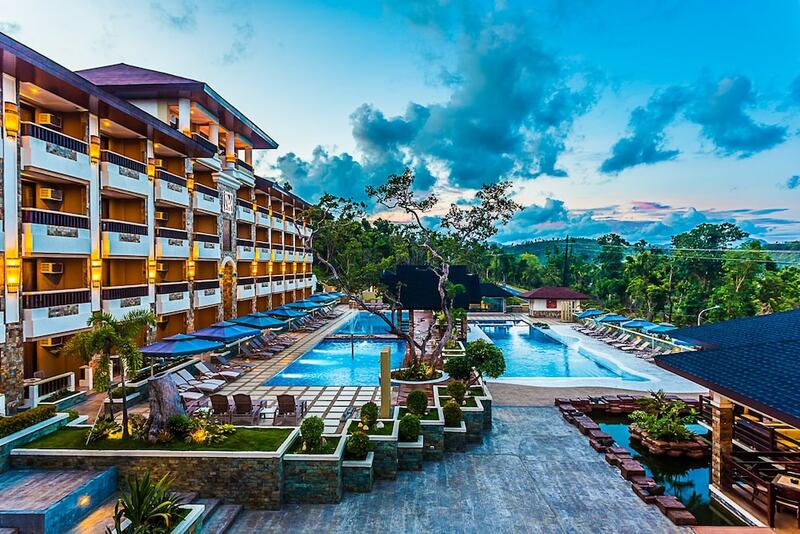 Situated in Coron, this hotel is within 3 miles (5 km) of Palawan State University - Coron, Iglesia ni Cristo and Coron Central Plaza. Bayside Plaza and Mount Tapyas are also within 3 miles (5 km). Along with 3 outdoor pools, this hotel has a restaurant and a bar/lounge. Other amenities include a coffee shop/café, WiFi in public areas and dry cleaning. All rooms are soundproofed and offer room service and free bottled water. For a bit of entertainment, flat-screen TVs come with satellite channels, and guests can also appreciate conveniences like sitting areas and coffee makers. Coron Westown Resort features 3 the outdoor swimming pools. The hotel offers a restaurant and a coffee shop/café. A bar/lounge is on site where guests can unwind with a drink. A computer station is located on-site, and wireless Internet access is available at a surcharge. This business-friendly hotel also offers tour or ticket assistance, a BBQ and a garden. For a surcharge, the property provides a round-trip airport shuttle (available 24 hours) and an area shuttle. Coron Westown Resort has designated areas for smoking. Coron Westown Cafe – On-site restaurant. 3 the outdoor swimming pools are on site. Rollaway/extra beds are available for PHP 2000.0 per night.